Some people can say they were at Atlanta Stadium the night Hank Aaron hit number 715. Some can say they were at Hershey Sports Arena to witness Wilt Chamberlain score 100 points. Others can say they crowded into Oriole Park at Camden Yards to see Cal Ripken play in his 2,131st game. Well I am blessed to say that I was at O.co Coliseum to witness the world’s greatest QB throw for a record 5,477 yards to cap off the greatest individual season in NFL history. 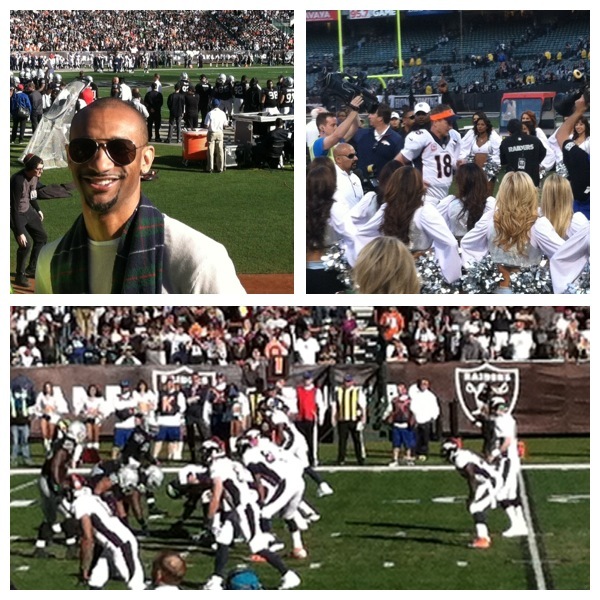 I was like a little kid in a candy store watching Peyton Manning just absolutely torch the Raiders defense. The pilot of this team handled every play with ease, poise, and an uncanny ability to execute. Manning made the Raiders secondary look like Moe, Larry, and Curly. They had no answer for Manning as he put up 31 points at halftime. It amazes me how one player can single-handily dominate their opponents like Peyton. As Manning prepares for his playoff game this Sunday, I’m already hearing the naysayers saying that Manning has a history of not producing in the post season. While that may be true, I don’t feel anyone would deny giving Peyton Manning the title of “NFL’s Greatest Regular Season QB”. Unless the NFL decides not to give an MVP award this year, Peyton is on his way to his 5th award which is unprecedented. Regardless of what Manning does this post season, he has orchestrated the best offensive surge we have ever seen. He has innovated the quarterback position, and has the intelligence to match his talent. As a QB coach on any level, you instruct your players to watch tape on Manning. Before we start to criticize his postseason struggles, lets just sit back and be satisfied knowing we saw the NFL’s greatest show this season. Thank you Peyton. You may enjoy your curtain call. I keep hearing the analysts go back and forth whether losing to New England will tarnish his legacy. He does have a history of losing in the playoffs so it wouldn’t surprise me if he lost again lol. He has only won one superbowl. Even his younger brother has won two. But all of that aside, Peyton will go down as one of the best quarterbacks ever, regardless if he wins or loses against the Patriots. I think a lot of people would like to see him win because this could be his last season, and if he does, it will boost his legacy, but if he loses, it will not tarnish his legacy. His numbers alone speak for themselves, and he had a record breaking season in his 16th year in the NFL. Not too many people have done what he has. But if he does win on Sunday, and then go on to win the Superbowl, I hope he bows out on a good note, and not come back for more seasons just to stink up the field and fire off interception after interception like Brett Favre lol. Zack Greinke On Fire: Can a Brotha Get Some Help? Have no Fear, Puig is Here! Clippers: Are They For Real?